There are many ways to develop. One approach is to clarify your gifts. It is then to get a good grounding in the activity where you want to do good work. Looking back, can you think of a situation when you went through these stages? You may have had a talent for encouraging people, playing a sport, fixing technical problems, practising a craft, nursing people, teaching disadvantaged youngsters, performing on stage or whatever. You threw yourself into getting a good grounding in the activity. You gathered information, read and went to classes. Moving on from theory, you immersed yourself in the actual practise. Sometimes this was tough, but you loved making sense of the experiences. Eventually the learning began to sink into your body and soul. 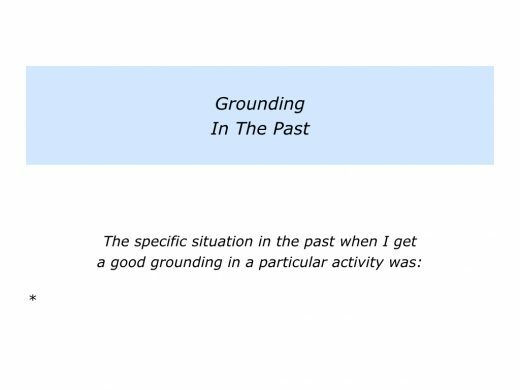 As well as getting a good grounding, you began to feel grounded. You felt able to plant your feet on the ground and operate from your centre. The years went by and, looking back, you felt grateful for being exposed to such experiences. These stood you in good stead when dealing with crises. They also provided the foundation for being able to do fine work. 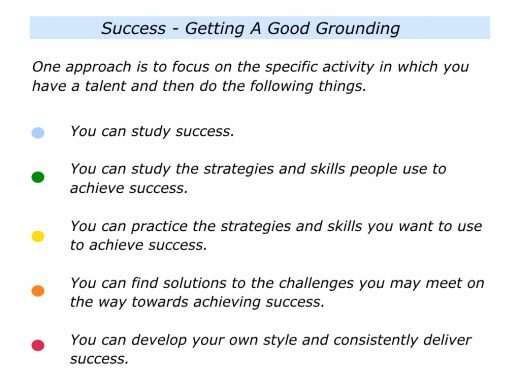 Describe a specific situation when you got a good grounding in a particular activity. 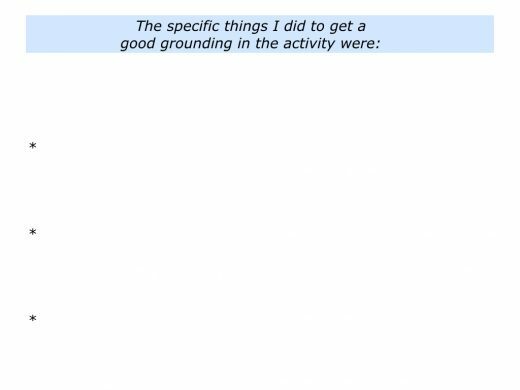 Describe the specific things you did to get a good grounding in the activity. Describe the specific benefits that resulted from getting a good grounding in the activity. 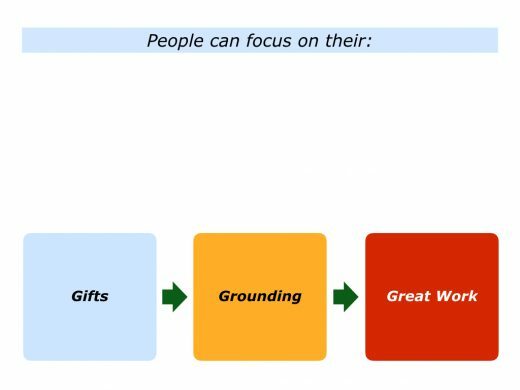 Looking ahead, can you think of an activity in which you want to get a good grounding? Pursuing this journey may involve the heart, head and hands. Your heart wants to explore the specific activity. Your head wants to gather information, see patterns and get models that help you to understand the topic. Your hands want to translate the theories into action and achieve success. There are many models for developing a skill. Emmy Southworth describes the approach she took in her blog piece called The Art of Craftsmanship. After years spent in a management role as Director of User Experience, she returned to being a designer. This called for both learning and relearning. Below are excerpts from a presentation she made that described this journey. You can read the full piece via the following link. Mindfully practicing a skill will change your brain’s ability to learn. The frontal cortex actually grows and changes when you force yourself to focus on learning difficult skills. Each time you learn a new skill, your brain becomes stronger and more efficient at learning and figuring out complex tasks. Observe success closely at your workplace, in your field, your peers, your competitors. What does success look like? What is the difference between what you are doing and what is successful? What do you need to practice getting good at? What are the rules of your craft? Why do these rules exist? Make a list, pick one or two things to work on at a time and practice them over and over until you get really good at doing them. It’s important though to mute yourself while you’re learning what success looks like. If you are doing things to get recognized, impress people, or prove yourself, you’re not learning from those around you. If you’re worrying about “Am I succeeding? Am I being appreciated? Am I in the right position? – you’re going to end up feeling frustrated and stuck. Practice. Start with one skill and develop the power of concentration. Multi-tasking is the death of mastery. As you get really good at practicing and honing the skill of deep concentration and focus, your mind is going to have space to start thinking about what you’re doing and providing some self criticism and guidance. You’ll start to self-correct your actions, and that’s when you’ll find mastery of a skill. You’ve studied the masters, you’ve practiced and conquered new skills. Next, experiment different combinations. Break a few of the rules. Break away from mimicking and teach yourself to think on your own. Use your peers and the Gatekeepers as sources of feedback, but don’t let their opinions stop you from continuing to experiment. If you’re worrying about “Am I succeeding? Am I being appreciated? Am I in the right position?” you’re going to end up feeling frustrated and stuck. Don’t worry about what the world can offer you. Identify what you can offer to the world, and then find spaces to do that. There are many models for learning a craft. One approach is to focus on the specific activity in which you have a talent. Whatever field you want to work in, it is useful to study success. Great workers often take this route. They study what works, simplify what works – in a profound way – and then do what works. They apply the ideas in their own way to achieve their picture of success. Looking at my own work with people, it was important to get a good grounding. During the late 1960s and early 70s this meant spending several years working in therapeutic communities. It also meant focusing on how to help people to achieve success. The people I worked with were troubled teenagers, drug addicts and former patients being discharged from psychiatric hospitals. The daily work involved group sessions and one-to-ones for 12 hours a day, five days a week. The other two days often involved going to seminars and workshops devoted to various kinds of therapy. During this time I did a two-year courses at The Tavistock Clinic and another two years at the Institute of Group Analysis. This work was supplemented by attending seminars run by people such as Viktor Frankl, Albert Ellis and leading figures in the humanistic psychology movement. The education meant spending days in Steiner Schools, the Camphill Village Trust, The Henderson Hospital, Finchden Manor and Peper Harow. It was also important to explore different kinds of therapy. These included psychodrama, bioenergetics and other approaches. Sometimes I spent time living in the various communities. When training to work with addicts, for example, I attended The Alpha Project. To enhance the experience, I was treated as though I was a resident who wanted to recover from addiction. This was an eye-opening experience. During these years I also wrote to leading figures in particular fields and asked if I could visit them. These included people such as George Lyward and David Wills, pioneers in child care, and William Glasser, the founder of Reality Therapy. Such people were often welcoming and willing to pass on their wisdom. The next step was to study people, teams and organisations that achieved success. What did they do right? What were the principles they followed? How could other people follow these principles in their own ways? How could we provide practical tools that people could use to achieve their own pictures of success? Practise was the most important part. It was vital to practise, practise, practise. Frequently this involved being filmed when running individual and group sessions. This was followed by a two hour playback and observations about what I did when running the session. My mentors believed that the best way to learn is to teach. Bearing this in mind, after visiting a therapy programme or organisation, I was expected to make a presentation to people on the following themes. The specific philosophy and principles followed by the organisation I had visited. The specific things we can do to apply some of these principles in our own organisation. The specific other themes of interest that emerged when visiting the organisation. Let’s return to your own life and work. Looking ahead, can you think of situation when you may want to get a good grounding in a particular activity? You may want to encourage people, pass on knowledge, build a business or manage certain kinds of crises. You may want to do superb work in the field of education, therapy, coaching, leadership, sports or whatever. How can you get a good grounding? How can you study success? How can you implement the necessary strategies and skills in your way? How can you develop your own style and consistently deliver success? 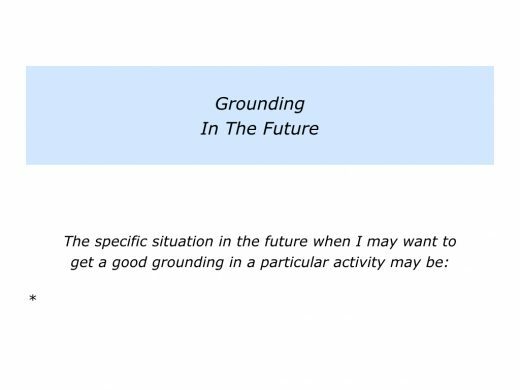 Describe a specific situation in the future when you may want to get a good grounding in a particular activity. Describe the specific things you can do then to get a good grounding in the activity. 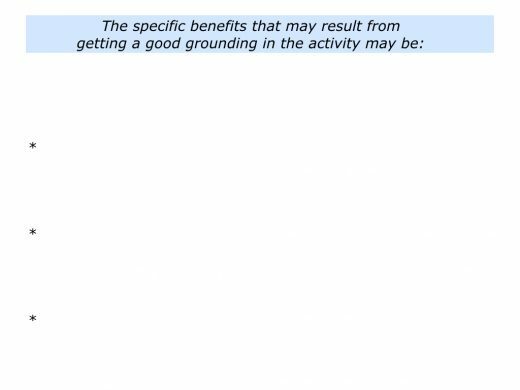 Describe the specific benefits that may result from getting a good grounding in the activity.